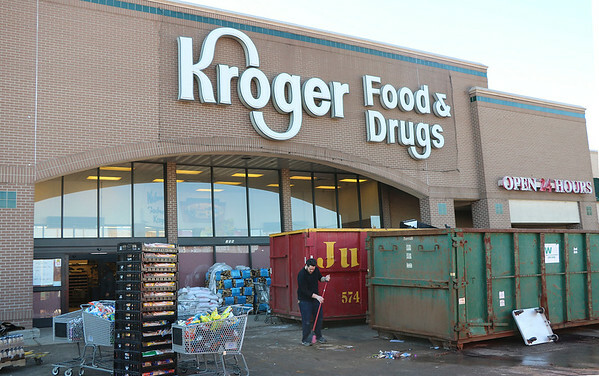 A worker sweeps debris outside Kroger, 612 Pike St., as part of cleanup work Tuesday after the store was damaged in last week's flooding. Non-perishable food and other items were donated to Food Bank of Northern Indiana in South Bend. Perishable food and anything else contaminated by flood waters were thrown away.